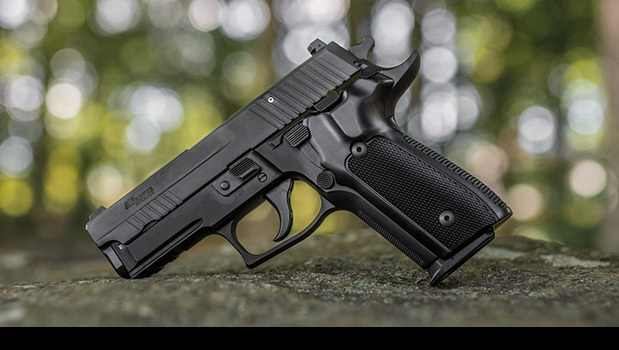 SIG SAUER® prides their pistols as weapons of choice for numerous law enforcement departments globally. Their popularity is based on precision manufacturing, ergonomics and durability. You’ve purchased a firearm to last you a lifetime, and now you can customize your SIG™ firearm with a selection of Hogue grip products, from our elegant, heritage Hogue exotic wood grips, rubber in a variety of colors, or for a cutting edge look we have our Hogue Extreme Series G-Mascus® Grips. The wide options of material, finish and color place you in complete control.